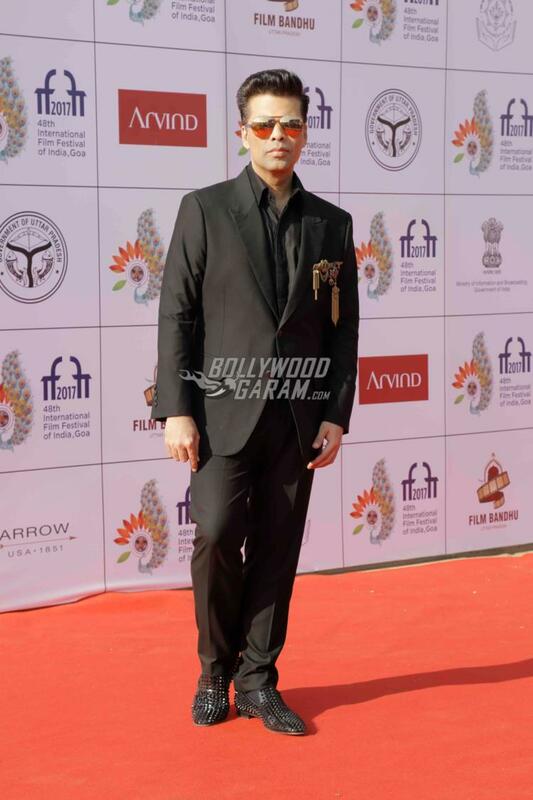 Celebrities from Bollywood flocked to the closing ceremony of the IFFI 2017 in Goa on November 28, 2017. The red carpet saw several celebrities walk in their best outfits and pose for the cameras. The attendees of the event included Amitabh bachchan, Sidharth Malhotra, Akshay Kumar, Huma Qureshi and Bhumi Pednekar. Sushant Singh Rajput, Karan Johar, Katrina Kaif, Salman Khan, Sonali Bendre, Zaira Wasim, Pooja Hegde and others. 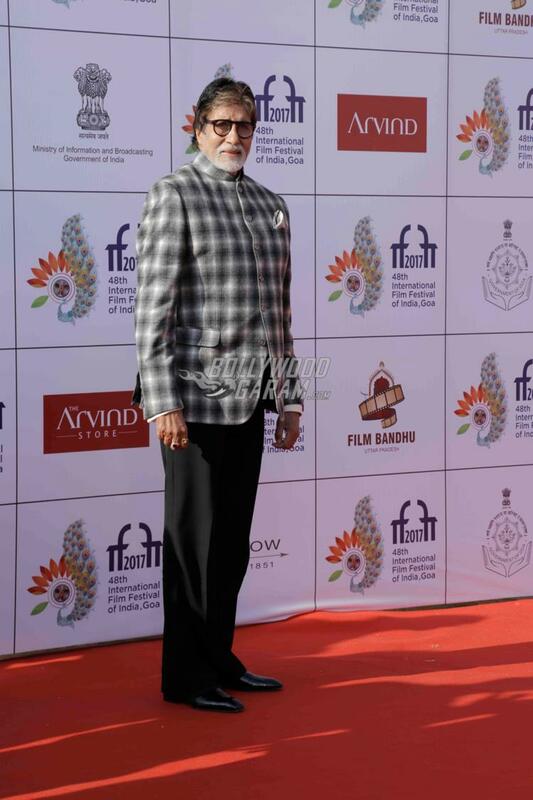 Sr. Bachchan was seen arriving with his entourage and looked great in a checked bandhgala coat and black trouser. 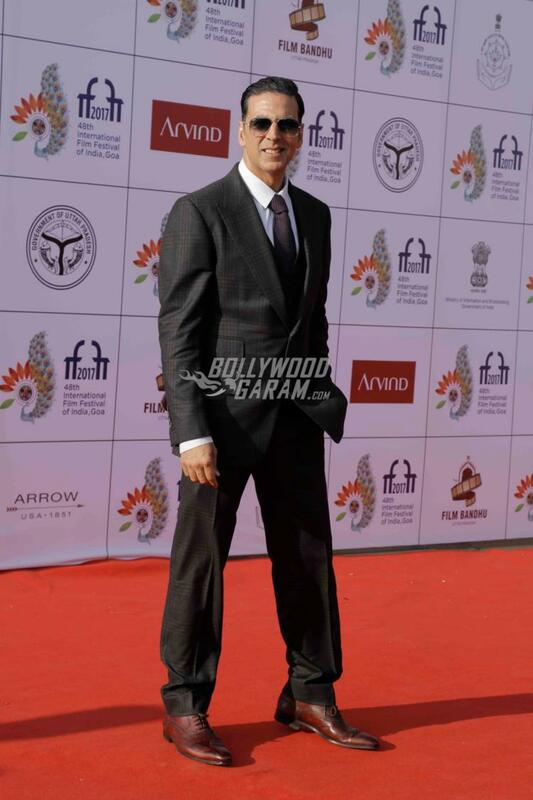 The one who caught everyone’s attention was Akshay Kumar who looked dapper in a black suit. 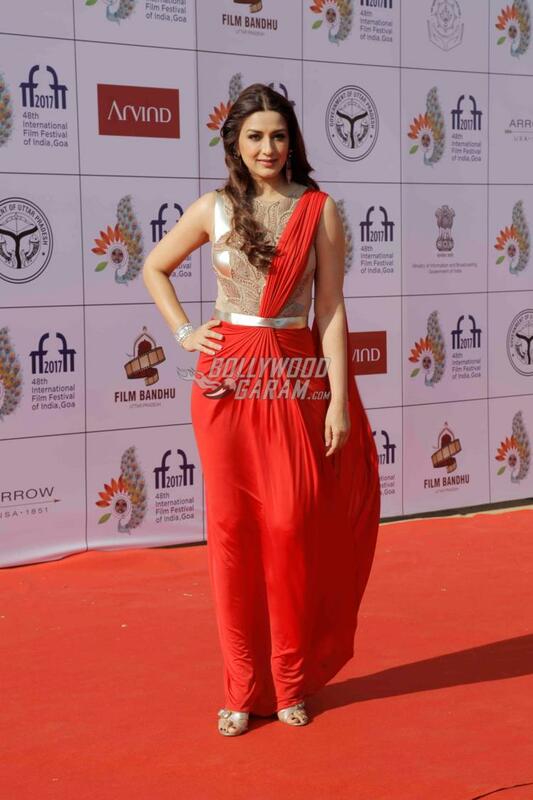 Huma stunned at the red carpet in a blue maxi dress while Bhumi appeared in a grey gown. 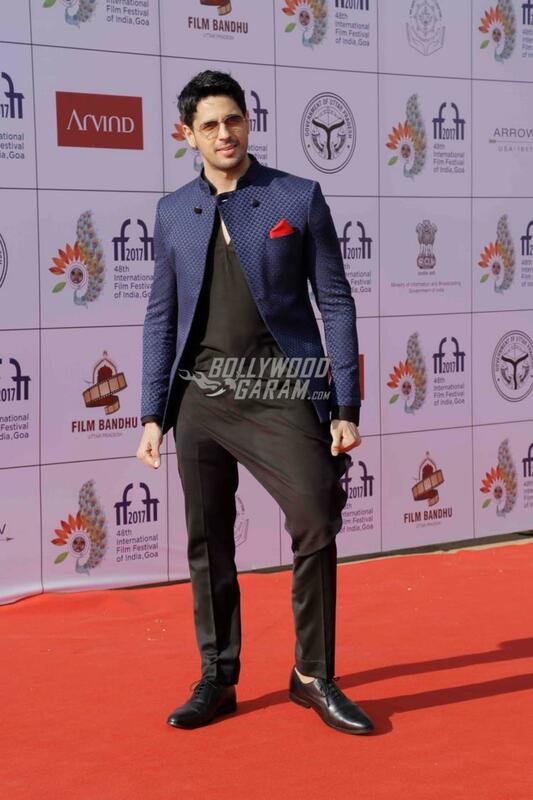 Sidharth, who is currently filming for the upcoming film Aiyaari, was seen in an indo-western outfit. Karan Johar was seen posing for the cameras in a black suit while Sushant Singh was seen in a casual jacket, a pair of denims and shoes. 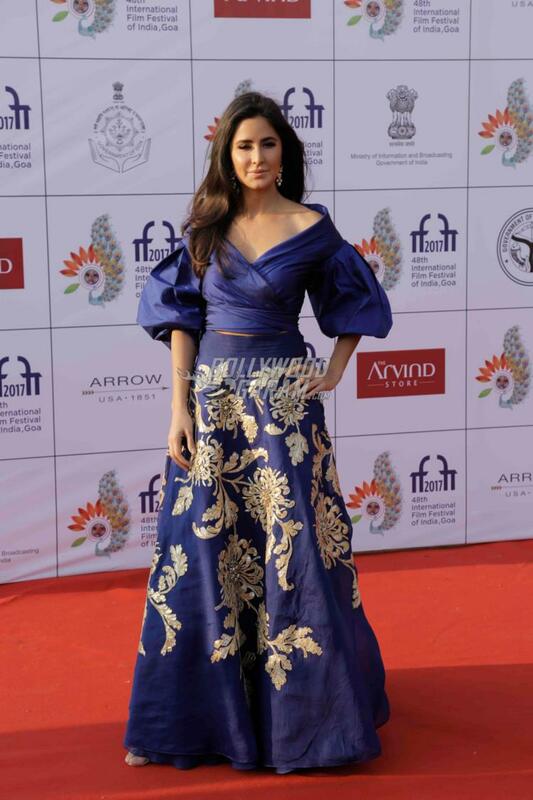 Katrina Kaif too looked gorgeous as she was seen in a royal blue skirt with golden details and a kimono top to match it with. 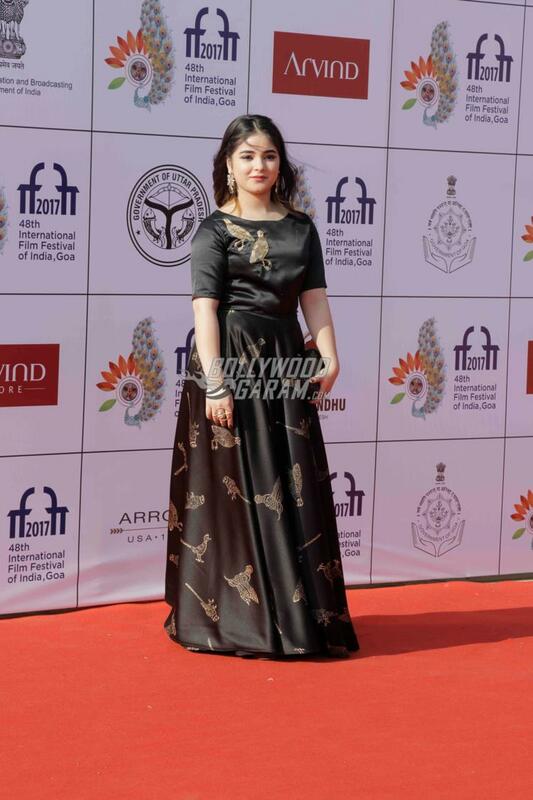 The International Film Festival of Goa began on November 20, 2017 and the inaugural event saw the presence of Sridevi, Shahid Kapoor and Shah Rukh Khan. 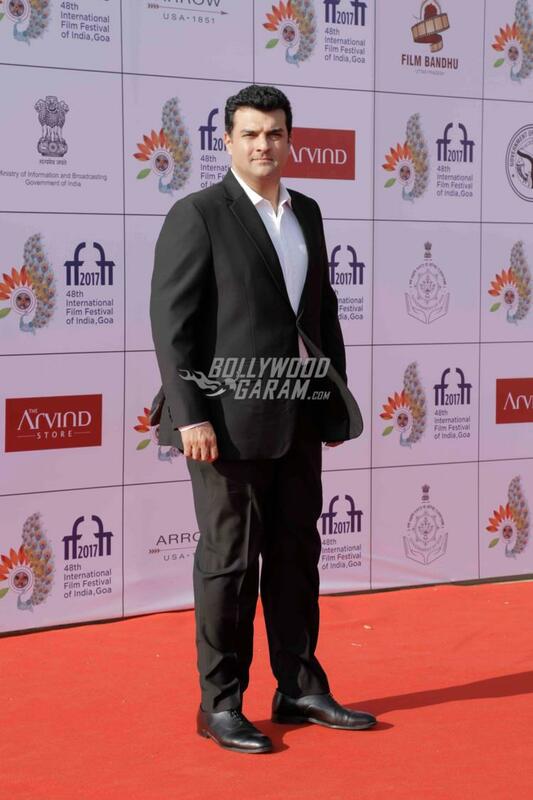 Exclusive photos of Bollywood stars at the IFFI event in Goa!